In 2018, foreign companies channeled a total of EUR 4.24 billion into sites and activities in Flanders. Not only does this represent the highest total annual investment amount ever in Flanders, it’s also twice as much as the year before. Foreign firms also continued to create a high number of jobs in the region. Compared to 2017, the total investment amount rose from EUR 2.08 billion to EUR 4.24 billion in 2018, mainly driven by the chemical sector. The number of newly announced investment projects went up by 8.8% (increasing from 215 to 234). Furthermore, foreign investors created 5,339 new jobs in Flanders. This is roughly the same as in 2017, when foreign investments created 5,377 jobs, which was the highest number in 15 years. Flanders’ neighbors also reconfirm their standings as major investors in the region. The Netherlands, France and Germany claim 2nd, 3rd and 4th place in the top 10, respectively. The UK comes in at number 7, a position it shares with Switzerland. Two other European countries appear in the list as well: Sweden at number 9 and Denmark at a joint 10th place. Finally, four countries from Asia Pacific, the Middle East and Africa claim their spots in the top 10: Japan and China both come in at number 5, Turkey and South Africa share 10th place with Denmark. Just like in 2017, greenfield projects remained the most popular type of investment in 2018: half of all foreign investors decided to start their activities in Flanders from scratch. As such, the number of greenfield projects went up from 88 (a 40.93% share) in 2017 to 118 (50.43%) in 2018. Expansions represented a 28.21% share in 2018 compared to 33.49% in 2017. Finally, the share of mergers and acquisitions dropped from 25.58% in 2017 to 21.37% in 2018. Based on number of investment projects, foreign companies mainly invested in setting up or expanding manufacturing activities in Flanders (58 projects or 24.79%) as well as research and development (55 projects or 23.50%). 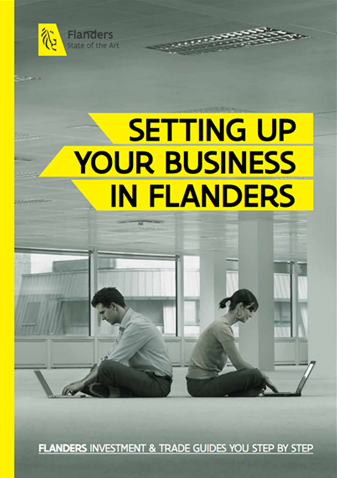 In 2018, Flanders was also a popular destination for investments in sales and marketing (53 projects or 22.65%). sales and marketing (1,211 jobs or 22.68%). Foreign investments are a major driver of Flanders’ economy, as they create additional jobs and inject new and different expertise in the local business environment. To highlight the importance of these investments, FIT presents the Foreign Investment of the Year Trophy annually to a remarkable investor. Chinese packaging firm CPMC is investing EUR 60 million into the construction of a new production facility in Genk. This investment generates around 150 jobs.